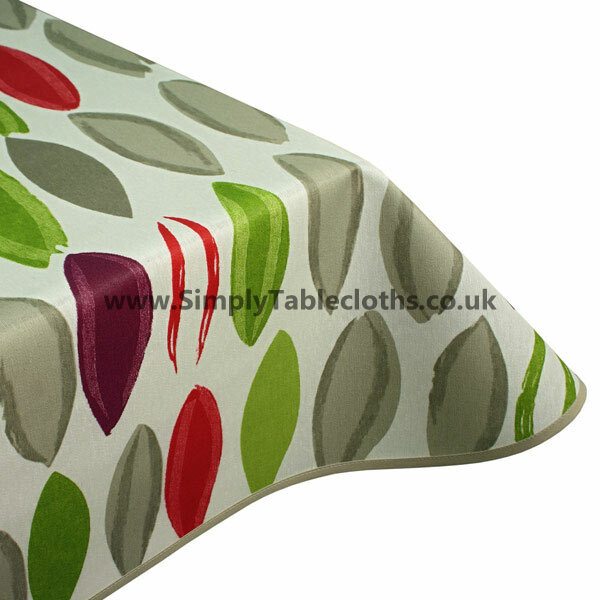 In a modern and trendy way, this tablecloth brings a bit of nature into your home. The abstract leaf design boasts a beautiful variety of bold colors that will work well with neutral décor. 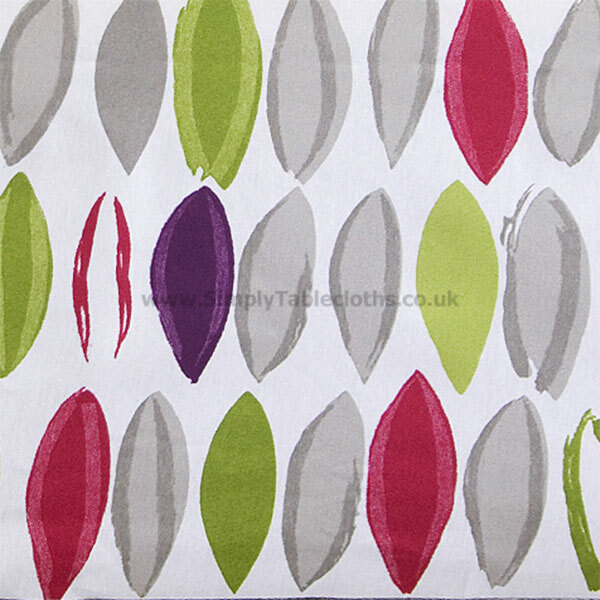 Take this tablecloth outdoors for a picnic, or use in inside for a summertime meal. The Teflon coating protects the surface and just requires a simple wipe clean.